My last five-minute painting post was on Friday. It is now Tuesday. Yes, the painting is still going on and no, there have been no posts since Friday. Just a little bit busy and a little bit lazy. Trying to get back on track. I did skip Sunday because it is a day of rest at my house and that usually but not always excludes painting. 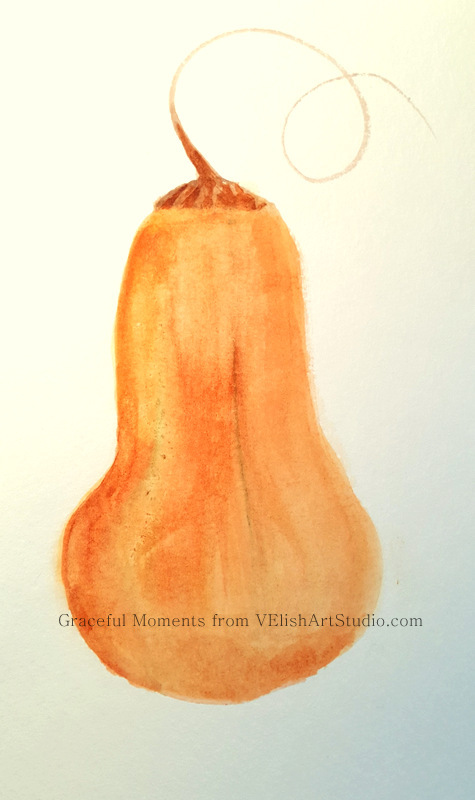 My Saturday painting is “Butternut Squash.” Not a bad effort for the seven minutes that was spent on this one. 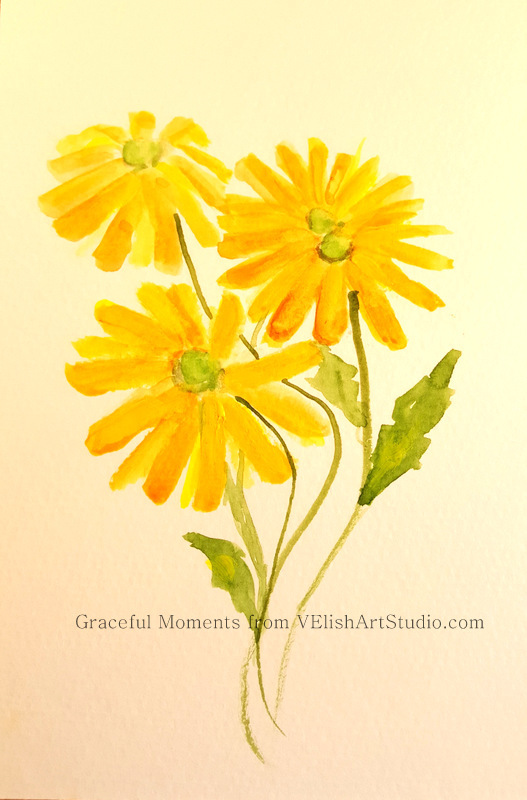 “Yellow Daisies” were the subject today and this is one where I didn’t have an image in front of me to assist. Purely out of the imagination which resulted in a drooping daisy and some blunt ended petals. My thought at the moment is to continue with these little paintings until the end of the month and re-evaluate this project at that time. Hopefully, I will be motivated to do a real painting at that time. We shall see. Thanks for dropping by. I hope you have a great week. Vicki-I'm sure you have heard of Spoonflower. I think your paintings would be gorgeous as fabric. It's an easy thing to make your photos into fabric at that site. You can make repeating patterns and they have a lot of different kinds of fabric. You can even sell your own fabric! Your paintings are lovely!!! Thank you so much, Debra. I will have to look into that. Thank you for so much for your encouragement. It means so much coming from you. I admire your work so much. Lovely little paintings! 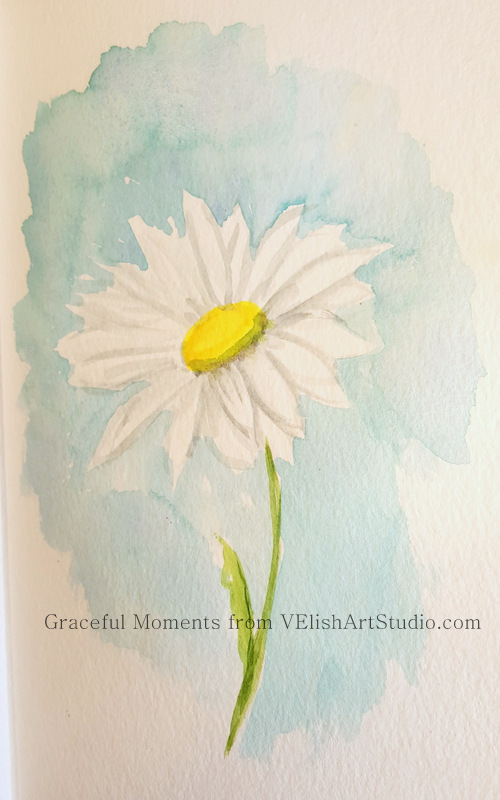 Especially love the white daisy!